All photographs © 2010, United Nations Development Pr. It was a year ago that I woke up, looked out of my bedroom window, and immediately started to moan about the snow that had fallen overnight. I busied myself worrying about how I was to get to work through the mounds of white stuff that had fallen. By the time I had gotten to work, the snow was the last thing on my mind. 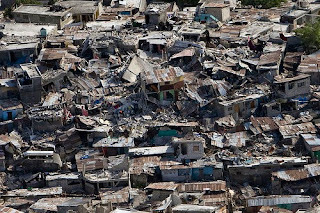 A devastating earthquake had hit Haiti and a country, already on its knees, found itself beaten down further. My only response at the time was to donate money to the Yéle Foundation and to write a poem, rebuking myself for my preoccupation with the weather. As the pictures came in I became upset, frustrated and angry. I wanted to be there. I wanted to help more than I was able to. My immediate frustration was taken out on the prattling of my liberal friends using their usual litany of '-isms' rather than worrying about assisting with the humanitarian suffering in some way. I have learnt; liberals can be as conservative, or stubborn, as the neo-liberals they abhor. 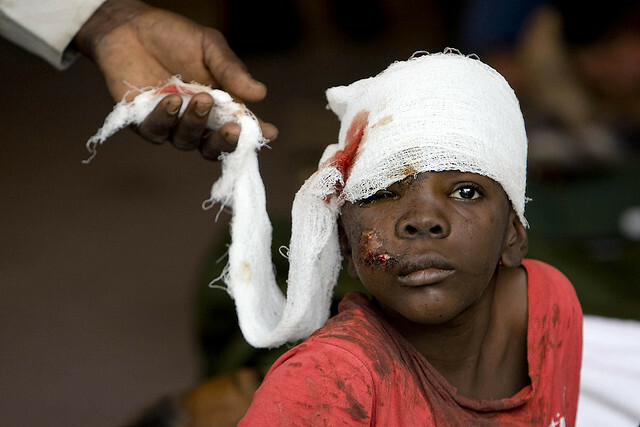 So, one year on, where does Haiti stand and where do we stand? 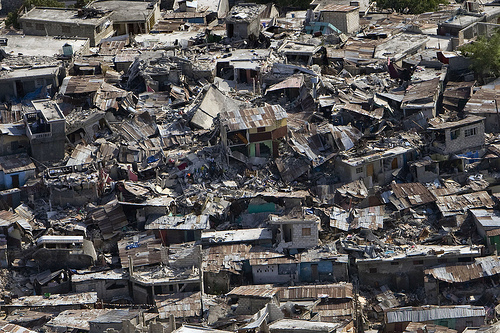 Haiti still stands in ruin, it would appear. There have been a number of documentaries and news reports of late and, although I have been unable to catch them all, it seems that so much has yet to be done and so much suffering continues to this day. Remembering that roughly 200,000 were killed by the eartquake and to date is is thought that 130,000 people have been affected by the outbreak of cholera in the country, the scale of the suffering becomes clear. Add to this the growing frustration directed by the population towards to the UN - an ubiquitous presence over the years. Stir this all up with allegations of 'orphaned' children being unlawfully taken from the country to America, an inconclusive, and frankly confusing, election process and a thousand prisoners running around following the destruction of Port-au-Prince's Penitentiary. There is no easy solution to the problems. Millions of pledged aid has yet to be given to Haiti as a result of foreign concerns about governmental corruption and the assumed inability to appropriately distribute it to those in need. Cholera cannot be fought effectively without a comprehensive refurbishment of national infrastructure, such as sewers and water pipes - something that was perhaps substandard already. This, at present, cannot be done without aid and outside assistance. The UN are becoming an object of hate and a target of aggression and, without a stable government... well, we've come full circle, the promised aid won't be given. I think, for a human being, confused by the diplomatics and politics of it all, someone who cares for others, as I do, and as many others do, the one thing that we shouldn't fail in, is our capacity to remember those who continue to suffer, keeping them in our thoughts and holding onto hope for their futures. 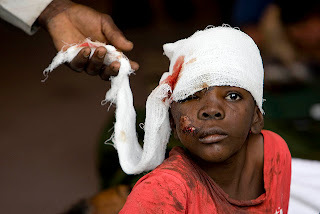 Haiti: Do you remember? I do.